One low-volume formulation for all size cats weighing over 1.5 pounds and over 8 weeks of age. Catego® is available nationwide. 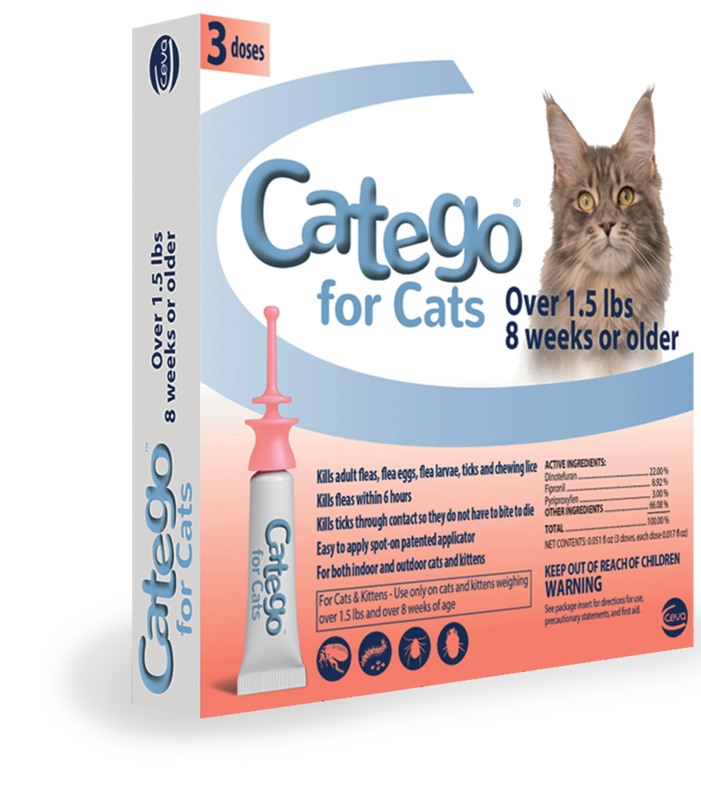 You can shop online or use our convenient locator to find a local veterinarian or pet retailer that carries Catego®.